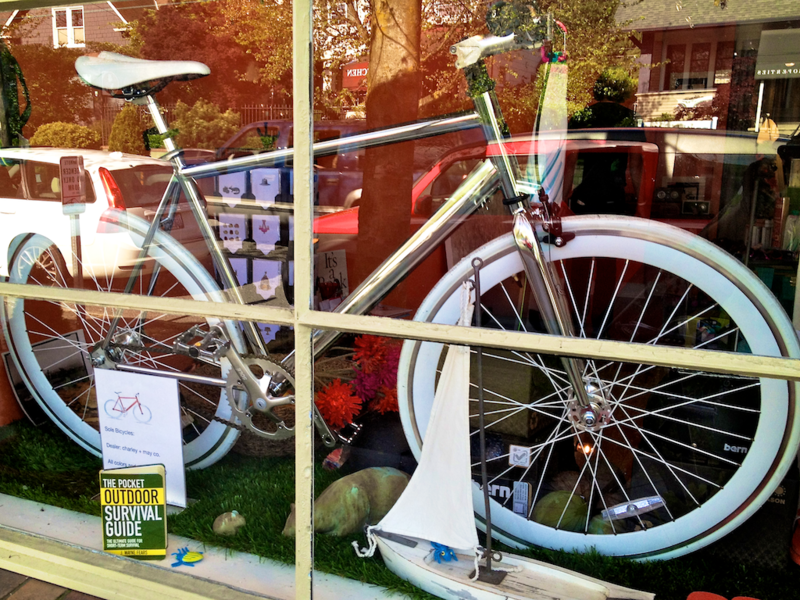 A Sole bicycles in the window at Charley+May in Seattle’s Queen Anne neighborhood. Charley’s is a gift gallery “celebrating modern design for you and your home.” They’ve sold half a dozen and stocked them cause the owner thought they looked cool. How much is that fixie in the window? I spotted the Sole’s on a ride I do midweek in Seattle. Meanwhile at the PSFK Conference a single-speed belt drive with a handlebar that flips sideways wows the crowd. Graham Hill says he designed it for Schindelhauer and it’s a folding bike. Speed lifters have solved the “awkward in a hall” problem for years in Europe, but the audience doesn’t know that or that they bike isn’t actually folding. 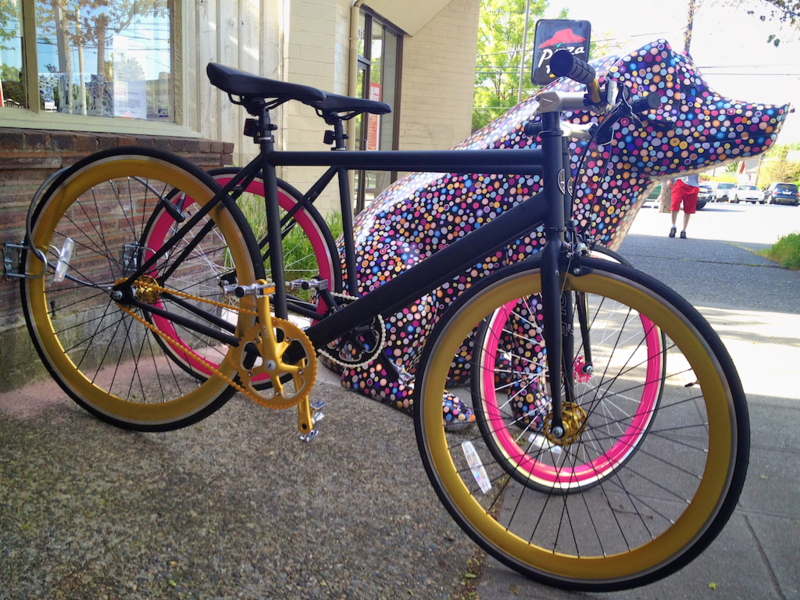 They just think the bike looks cool, like the buyer for Charley+May does.